Aim: The present review aims to explore the development of novel antifungal agents, such as pharmacology, pharmacokinetics, spectrum of activity, safety, toxicity and other aspects that involve drug-drug interactions of the azole antifungal agents. 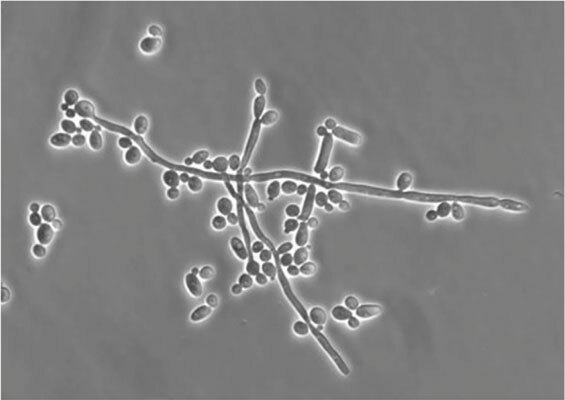 Introduction: Fungal infections in critically ill and immune-compromised patients are increasing at alarming rates, caused mainly by Candida albicans an opportunistic fungus. Despite antifungal annihilators like amphotericin B, azoles and caspofungin, these infections are enormously increasing. The unconventional increase in such patients is a challenging task for the management of antifungal infections especially Candidiasis. Moreover, problem of toxicity associated with antifungal drugs on hosts and rise of drug-resistance in primary and opportunistic fungal pathogens has obstructed the success of antifungal therapy. Conclusion: Hence, to conflict these problems new antifungal agents with advanced efficacy, new formulations of drug delivery and novel compounds which can interact with fungal virulence are developed and used to treat antifungal infections. Antifungal agents, azoles, Candida albicans, virulence factors, drug resistance, natural product, nanoformulation.